Still from 9 Evenings: Theatre and Engineering by Alfons Schilling. The Daniel Langlois Foundation for Art, Science, and Technology, 9 Evenings: Theatre and Engineering fonds. "1) Technology directs our attention to the practical rather than to the abstract [...] to physical rather than intellectual activity. 2) Technology is neutral. It possesses no inherent values, value judgments, teleological direction, or normative goals. It is a tool. 3) Technology separates and defines functions. Understanding and interacting with these functions can take place outside a specific cultural environment or value system. 4) Technology generates activity. The introduction and use of technical products leads to the development of skills and involvements and generates work activity. 6) Technology encourages the individual to engage exploratory intellectual activity, rather than accumulating facts. 7) Technology promotes individualistic behavior. 8) The cost per function of technology decreases with time. Innovation in technology accelerates amortization of its cost. The cheapest way to generate activity is to use new technology. 9) Technology is inherently beautiful. Design grows out of solutions to real physical problems; the shape of a satellite, or the lay-out of the printed circuit. 10) The capacity of the new technology is not bounded: we cannot say what we cannot do with technology. 11) Technology is a cohesive, not a disruptive, force in the community. This reading of Klüver’s general attitude needs to be set against what must appear, in retrospect, as a corporate bias in some of his published statements. For in many instances he submitted proposals that were seen as of benefit, both technologically and politically, to the corporation; it was as if he included artists almost as a new invention that industry had not yet thought of, but could use. But Klüver may not necessarily have had the corporations’ benefit in mind — he was a pragmatist who “made things happen,” and a vital force behind E.A.T. projects; yet his writings suggest an underlying value system that tended towards rationalism and the input/output mechanistic mindset so often associated with engineering. Yet, coexisting with this mindset were certain vagaries that undermined, in a sense, the solidity of the rationalism on which Klüver’s pragmatism was based. Nino Lindgren, who was writing at that time, gives us an amusing example of Klüver’s way of thinking: when asked what kind of money he would need to create “something” for the Pavilion, he asked how many cubic metres of technology there would be, and followed up this absurd question with the statement that “you can buy technological hardware for 10 thousand dollars per cubic meter.” (4) Similarly, Klüver demonstrated a frankness that demolished the cultural capital that “Art” was supposed to provide, and that he would presumably want to leverage. In a letter to J. R. Pierce dated April 8, 1966, and requesting the sponsorship of Bell Telephone and AT&T, Klüver lists three main benefits to companies and engineers: first, “social prestige and [an] increase in professional standing”; second the involvement of artists as “an untapped intelligence resource”; and finally, the potential “commercial fallout, patents, methods, products, and ideas.” (5) The absence of grand statements about “Art,” which one might very well have expected just as the cultural legitimacy of E.A.T. was being established, can perhaps be explained by Klüver's vision of the organization. For he thought that it might create a “new aesthetic” in "an organic relationship with the contemporary world.” (6) This would include becoming involved in projects with the developing world to solve various problems, even as the Pepsi Pavilion was struggling during the first few days of its opening—an indication, as Tomkins suggests, that Klüver, while in many respects at ground level, was also less concerned with project operation and management than with the pursuit of new projects. (1) The Ghetto and the Technical Community : An Opportunity for Challenge / Billy Klüver (Summer 1968, manuscript), 13 p. The Daniel Langlois Foundation for Art, Science, and Technology, Collection of Documents Published by Experiments in Art and Technology. EAT C4-16 / 13; 86. (2) Tomkins details these contributions as follows: “[They] invented a portable power supply unit for a painting by Jasper Johns that incorporated neon lights; designed a complex sending-and-receiving sound system for a sculpture group by Robert Rauschenberg; enabled Andy Warhol to make silver pillows that floated on air; and collaborated with the composer John Cage on the electronic score for Cage's Variations V,” Calvin Tomkins, “Outside art,” Pavilion, edited by Billy Klüver, Julie Martin and Barbara Rose (New York: E. P. Dutton, 1972), p.109. 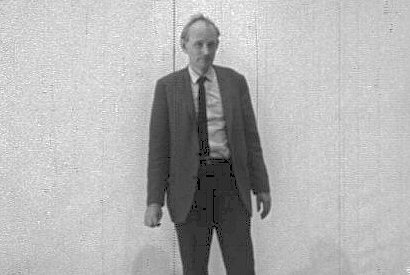 (3) Tomkins: “Klüver knew that the artist's unfettered approach to art and life could open up all sorts of new insights to the engineer—insights to which many engineers were becoming increasingly responsive now that technology had come to be seen as a very mixed blessing. As the long-range poisoning of the environment by unrestricted technological progress became better known, it had begun to appear that technology was far too dangerous to be left to the technologists. The more Klüver thought about technology, in fact, the more he came to believe that the engineering community needed the artist—his insights, his respect for the human element—even more than the artist needed the engineer,” ibid., 127. (4) Nilo Lindgren, “Into the Collaboration,” in Pavilion, edited by Billy Klüver, Julie Martin, and Barbara Rose (New York: E. P. Dutton, 1972), p. 8-9. (5) [Letter to J.R. Pierce] / Billy Klüver (April 8, 1966),  p. The Daniel Langlois Foundation for Art, Science, and Technology, Collection of Documents Published by Experiments in Art and Technology. EAT C1-15; 15. (6) Billy Klüver, cited in Calvin Tomkins, “Outside art,” Pavilion, edited by Billy Klüver, Julie Martin and Barbara Rose (New York: E. P. Dutton, 1972), p.127.